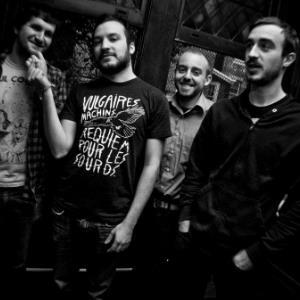 The Menzingers currently occupy a lovely spot in the music world. They're strangers to the average man on the street, but the Pennsylvanian punks just sold out another UK tour off the back of their 2012 collection, 'On The Impossible Past', and were greeted by raucous singalongs at every turn. 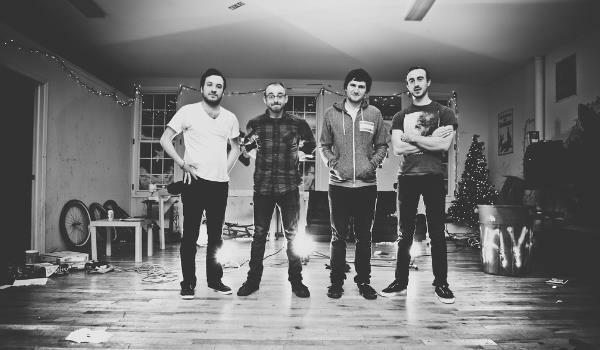 It was no different when they rolled into Cardiff's Clwb Ifor Bach for their final UK show. Striding out to a chorus of cheers, they dragged the staccato intro to The Obituaries from a wall of feedback and set the wheels in motion for a joyous, celebratory evening. 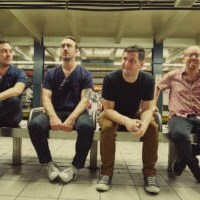 What you get with the Menzingers are songs. Huge, meaty songs with choruses that demand to be screamed back at the band from the middle of a sweaty pit. The Cardiff crowd didn't disappoint, pogoing through Good Things and Burn After Writing from 'On The Impossible Past' and lurching arm in arm during a triumphant rendition of Timetables, a highlight from their second album, 'Chamberlain Waits'. The setlist also dipped into their past, with the title track from their debut 'A Lesson In The Abuse Of Information Technology' getting an energetic airing alongside a cover of Smashing Pumpkins' classic Bullet With Butterfly Wings. The Menzingers don't do anything flash, but live they just work. They seem to enjoy playing their songs as much as their audience loves hearing them, and that's not likely to get old any time soon. Earlier in the evening, a rare UK performance from Tigers Jaw reminded anyone who'd forgotten that there's gold to be found in their back catalogue. Powering through harmony-laden tracks from their self-titled debut and its follow-up, Two Worlds, they demonstrated their knack for penning '90s-infused alt-rock that always goes down smooth.